Al Nakba (the catastrophe) is still at the heart of the Palestinian issue. When the military forces of the newly proclaimed Israeli state swept through Palestine 70 years ago, their political commanders had three aims. The first was, quite simply, to expand the boundaries of the proposed Jewish state created by the United Nations in its infamous Partition Resolution 181 of November, 1947. The second, was to expel huge numbers of Palestinians from Palestine. The UN had given European Jews a state over the majority of Palestine. But there were far more Palestinians than Jewish immigrants, even within the borders of the proposed Jewish state. There was no question for the Zionists – very few of the locals would be allowed to stay. Eventually, some 750,000 Palestinians were expelled by Israel to make way for a Jewish homeland. They have never been allowed to return. The third goal was to ensure that Israel was viewed, at least in the Western world, as the victim and not the aggressor. Armies from the surrounding Arab states intervened in May 1948. The Arab armies were active in territory meant to be part of the proposed Arab Palestinian state which was either occupied or being invaded by Israeli forces. Yet, to this day, the Israelis justify their land grab as a response to Arab attacks, not the cause of those attacks. This was Al Nakba, the catastrophe for Palestinians. On the 14th of May each year Israel celebrates the founding of the Israeli state, and the achievement of all three of its war aims. The Palestinians mark Al Nakba, the 15th of May each year, as a day of mourning. At the UN in 1947, New Zealand voted in favour of partition as the least bad of several diplomatic solutions. But even before the mass expulsion of Palestinians had begun in earnest, the New Zealand representative to the United Nations, Carl Berendsen, complained to the General Assembly about the failure of the UN to protect the Palestinians from the violence the UN decision created. Worse was to come. In 1967, during the Six Day War, Israel occupied the rest of Palestine: conquering Jerusalem, Gaza, the West Bank and the Syrian Golan Heights. About 250,000 new Palestinian refugees were created in a violent replay of 1948. At the time, the international consensus was that Israel had gone too far. The world’s nations demanded there should be some Arab sovereignty in some small part of Palestine. Formally, Israel agreed. It stated that Israel’s occupation was temporary, pending a peace agreement, after which Israel would withdraw from most of the land it had taken. It was all phoney, of course. Ever since the occupation began, Israel has been sending settlers into the occupied territories at an ever increasing rate – these are not the actions of a state contemplating eventual withdrawal. The division of Palestine, in legal and political terms, between the land seized during Al Nakba and the territories occupied during the war, less than 20 years later, was a calamity for the Palestinians. It let the international community proclaim the first as legitimate, and the second as a temporary state of affairs that could be resolved by a peace process. As far as the UN was concerned, a string of condemnations of Israel’s 1967 occupation was a sufficient chimera for the Palestinians to cling to. The Palestine Liberation Organisation was not permitted any wider or more fundamental agenda. Israel loved it. It used decades of endless UN resolutions, and political peace hugs on the White House front lawn, to consolidate, not end, its occupation. Berendsen’s concern in 1947 about the lack of enforcement of international law remains the fundamental issue to this day. Over time the political status of the most occupied land on the planet has diminished. The United States protects Israel from real compliance with international law. It even stopped the Security Council condemnations for a decade, so that when New Zealand successfully co-sponsored UNSC 2334 on the back of a US abstention in 2017, the news media made out that such criticism of Israel was unprecedented and outrageous. The New Zealand National government, shocked by the reaction, backed off. Gerry Brownlee, its new Foreign Minister, trashed the idea that the 1967 territories were occupied at all. In a similar vein, but with far graver political consequences, US President, Donald Trump, declared that there is no occupation. According to Trump, Israel consists of whatever Israel considers itself to be. If that includes having Jerusalem as its capital, then that’s where the US will open its embassy. Today, the only serious challenge to Israel emanates from the international Palestine solidarity organisations, especially the Boycott, Divestment and Sanctions movement. Israel and its supporters know a threat when they see it. Accusations of anti-Semitism have become increasingly frequent, far-fetched and legalistically framed, as Zionism lashes out at its detractors. Earlier this year, the Syrian-French singer Mennel Ibtissem quit France’s “The Voice” competition following a media-manufactured storm against her support for the Palestinian people. That is the outcome of the standard Zionist operating procedure. But Zionism is not certain of success. New Zealand singer Lorde (who cancelled her concert in Israel) managed to complete the whole of her US tour in spite of an aggressive advertising campaign aimed at destroying her reputation. The campaign, bankrolled by the US business magnate Shelden Adelson (one of Donald Trump’s biggest private funders), failed because Lorde was too big and too popular a target. In the lead up to the 70th anniversary of Al Nakba, Palestinian protesters in Gaza have amassed on the border demanding the right to return to their homeland. Their demands have been met with tear gas, rubber bullets and live ammunition. Since the March of Return rallies began, on the 30th of March, 54 Palestinians have been killed and 2,500 wounded. Throughout this slaughter of peaceful protesters, the UN, Western governments and mainstream media have remained mute, emboldening Israel to go further and commit more and more atrocities. As I write this article Haartez is reporting that the Israeli military has “begun reinforcing battalions exponentially in the Gaza Strip and the West Bank” in the lead-up to what it says will be protests “far more violent and extensive than anything seen thus far”. The bloodbath that the Israel military is planning to unleash must be stopped, and the Israeli state held to account. Sadly, with a Foreign Minister who is a member of the Parliamentary Friends of Israel, the New Zealand coalition government are likely to remain stubbornly silent. 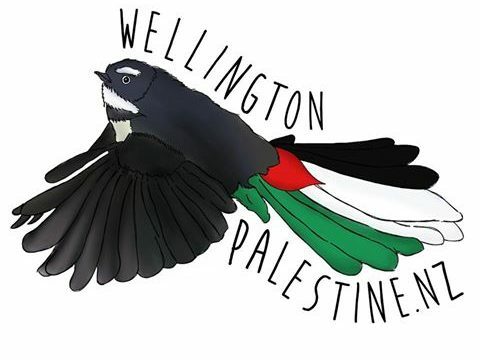 This Nakba day, Wellington Palestine joins with the NZ Palestine Solidarity Network in calling on all civil organisations – trade unions, churches and rank and file members of political parties – to join the campaign to stop the violence in Gaza, support the right of return of Palestinian refugees and end Israel’s barbarous apartheid regime.